TRAPA’s Custom Cut Department contributes significantly to the company’s total revenues. 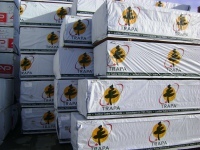 The business is based around TRAPA’s relationship with log suppliers in B.C. 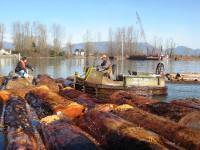 and the custom cut sawmills on the BC Coast. 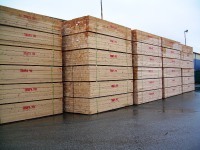 Our company has been exporting lumber to Japan since 1954. 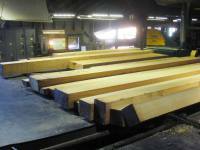 TRAPA started custom cutting for Japan in 1966 in Surrey, British Columbia at what is now S&R Sawmills Ltd. Over the years we have grown with our valued partners in the business. Today our custom cut production is shipped to global markets with about 50% of the production going to Japan. 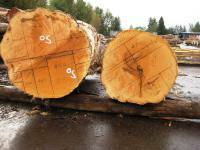 Log Inspection and Acquisition: We have an experienced log buying and scaling staff to ensure that the quality of the logs we acquire produces the best clear products, the most uniform grain and color, and the highest yield of lumber for that grade. 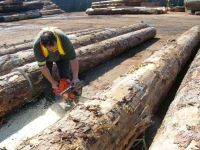 We constantly visit many log sorting operations and talk to loggers, sawmillers, and customers to learn which logs are best suited for their intended purpose. We carefully inspect potential logs and record our findings. Only by following all of these steps, can we determine which logs to purchase. 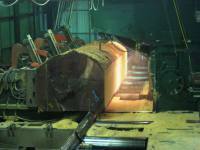 Cut Co-ordination and Supervision: Throughout many years of custom cutting, we have developed procedures to make sure that all stages of the cut flow smoothly. 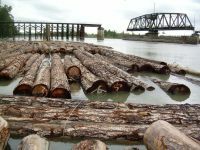 We coordinate all aspects of transporting the logs to the sawmill as well as shipping the lumber to the final port or destination. 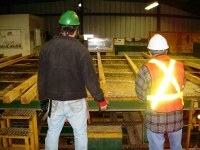 We are able to have personnel on site for the pre-planning, supervision and packaging of the custom cut. No detail is too small! Shipping and Documentation: Wood from custom cuts can be shipped anywhere in the world. We are able to leverage our strength as one of the leading exporters of Canadian wood products to produce and ship wood at the lowest possible cost. We also have a dedicated team of support staff to ensure that all documentation and shipping is handled in an efficient and professional manner. Various Pricing Methods: We can structure the business so that our customers are involved in all aspects of the costing and planning, or TRAPA can simply deliver lumber to the customer at an agreed specification & price. Please contact us to discuss pricing. 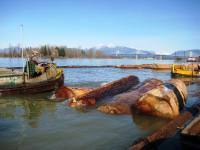 Market and Supply Information and Expertise: We are a company with over 50 years of history in dealing with logs and lumber on the West Coast. 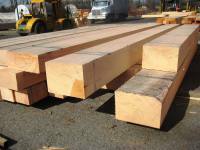 We continue to have an in depth knowledge of log and lumber producers and prices, export regulations and requirements, and manufacturing and shipping costs. 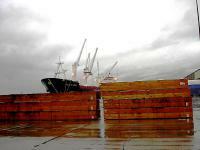 Phytosanitary Risk Reduction and Inspection: Certain jurisdictions limit the import of certain types of wood products from North America because of plant health (phytosanitary) concerns. We are able to manufacture and or inspect the wood products to eliminate this risk and provide documentation required for importing. Custom Remanufacture, Surfacing and Kiln Drying: We are able to produce lumber as “rough sawn green” or we can kiln dry, re-saw, resurface or trim as required. Co-Marketing: We co-market products for many of our suppliers and customers. In many cases we will sell the products from a single log into 10 or more global markets. Through the world wide marketing of even the less marketable types of lumber we are able to match every product with the most suitable customer.